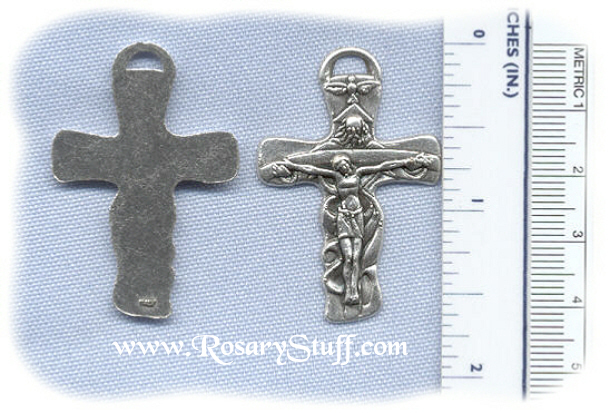 Italian oxidized silver plate Holy Trinity Crucifix. This new Holy Trinity crucifix shows God the Father holding up His Son Jesus on the cross with a dove overhead. Sized at 1 5/8 inches tall (including ring) and approximately 1 1/8 inch wide.